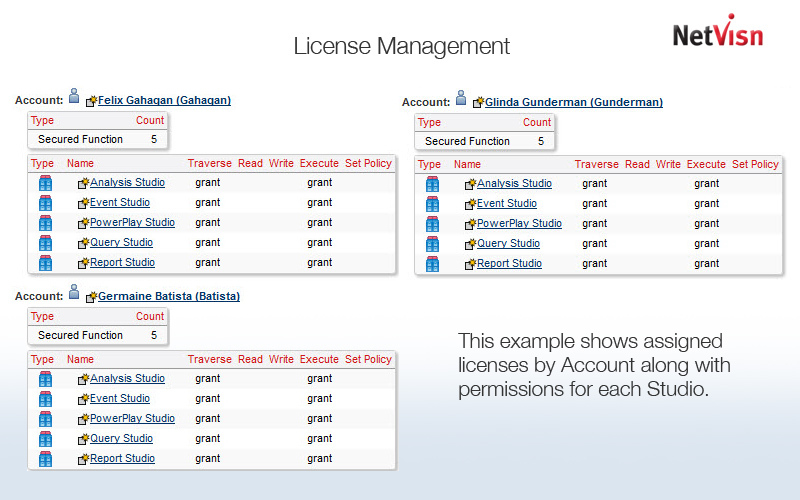 Netvisn's License Management makes it easy to keep track of Cognos licenses deployed in your BI environment while ensuring complete Cognos license compliance. Track licenses in whatever way is appropriate for your environment. Based upon account permissions to Cognos capabilities. 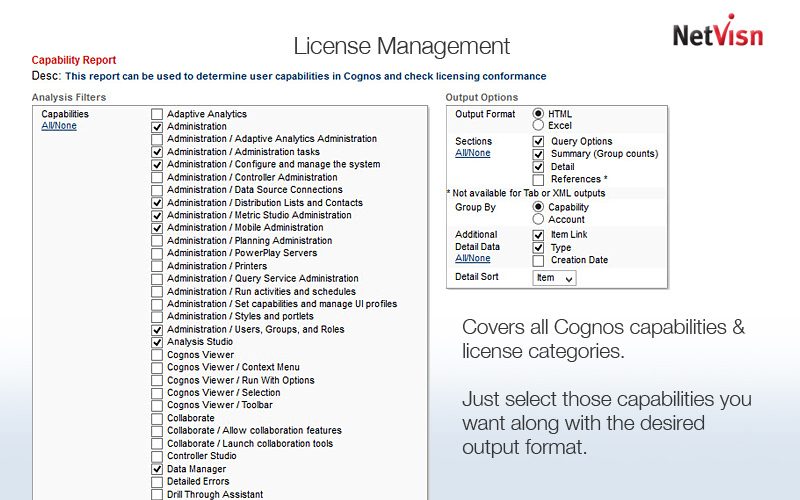 Provides Cognos licensing detail and summary counts. 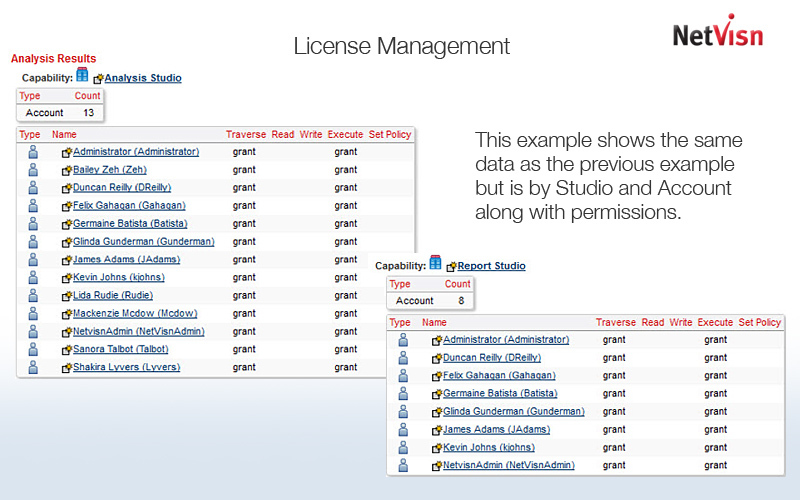 Shows named individuals and the licenses they hold. Select license categories down to the lowest level of licensed products. 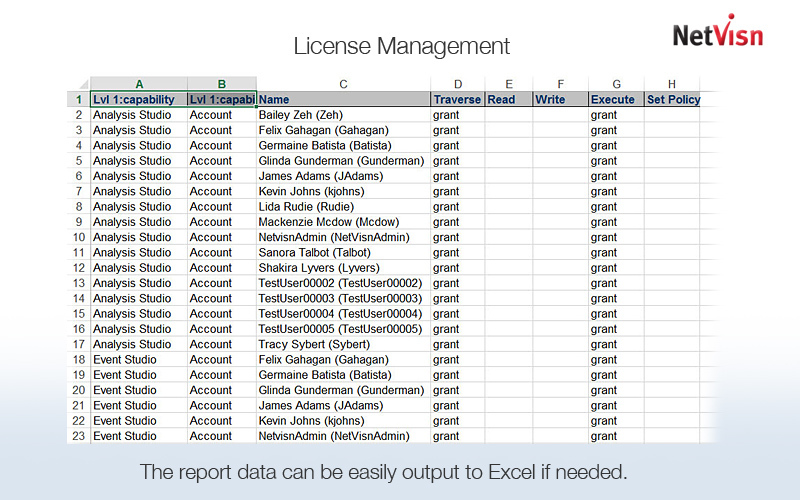 Easily export license detail and summaries to Microsoft Excel. New version alerts, user-defined watch rules, and any use of raw email addresses for distribution are fully documented automatically ensuring your IBM Cognos license compliance calculations are always accurate.